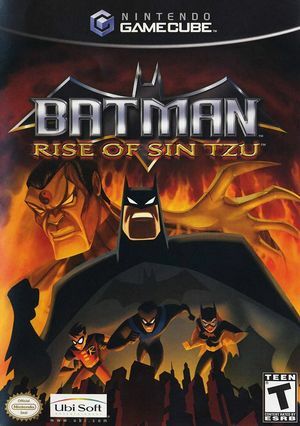 Batman: Rise of Sin Tzu is a 2003 beat 'em up video game, based on DC Comics character Batman and the television series The New Batman Adventures. Sin Tzu, cunning master of strategy and martial arts, makes history as the first Batman character to debut in a video game. To commemorate this event, DC Comics and Warner Bros. have showcased the talents of veteran scriptwriter Flint Dille and reknown comic book artist, Jim Lee as Sin Tzu's co-creators and character designers. The third-person action game lets up to two players join forces as Batman and Robin or Nightwing and Batgirl and take on the scum of Gotham City. Utilizing 35 different attacks and plenty of Bat-gadgets, players fight their way through 12 levels, from the Gotham City Docks to the infamous Arkham Asylum. The graph below charts the compatibility with Batman: Rise of Sin Tzu since Dolphin's 2.0 release, listing revisions only where a compatibility change occurred. This page was last edited on 14 January 2018, at 12:44.